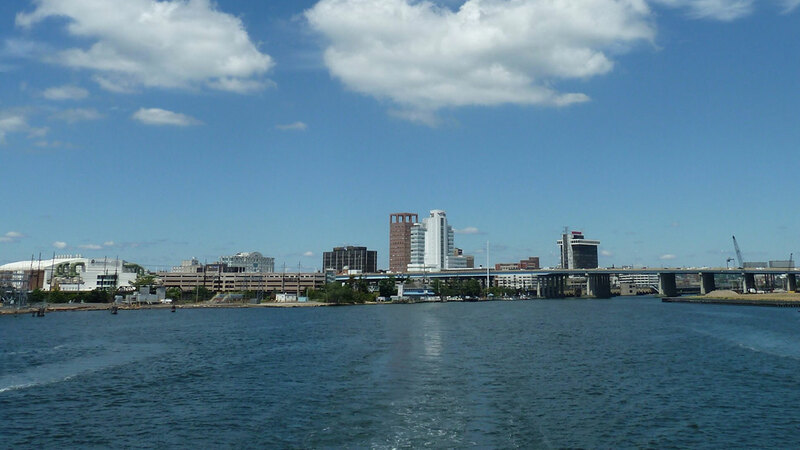 The implementation of a low-temperature heating and cooling system in Bridgeport, Connecticut, USA, has made the formerly languishing city a frontrunner in clean and efficient energy production. The United States relies primarily on steam heating, which can be a costly affair to operate and maintain as well as being a potential safety hazard. Located 100 km/65 miles northeast of New York City on the New York-Boston corridor, Bridgeport makes out a perfect model for low-temperature district heating with its 150,000 inhabitants and available surplus heat. A traditional steam system would never be feasible, but the hot water system is. The conversion to district heating has helped the city of Bridgeport back on the map as a green and sustainable city after several years of decline. In honor of this transformation, Bridgeport won the 2016 Mayors’ Climate Protection Award at the US Conference of Mayors in Indianapolis this year. In Copenhagen, Denmark, 97% of the city’s 35,000 buildings are heated by a district heating system. The thermal energy is largely supplied using waste heat from various combined heat and power plants. Inspired by the Copenhagen model, Bridgeport has chosen to use a similar method to create a low-temperature heating and cooling system. The system uses waste heat from the existing waste-to-energy plant and a new fuel cell plant to provide low-temperature heat to downtown private businesses, city and state buildings, a sports arena and two universities. The heat from the waste-to-energy plant is not utilised today, but is simply emitted to the surroundings. Heat with a temperature of approx. 200F is distributed in underground pipes to each building. Each building will have a heat exchanger instead of an individual gas boiler, and this will free up space and is easier to maintain. But while there are many benefits resulting from the transition to district energy there are also some challenges related to the task of implementing a European system in the US. - One of the challenges related to this project has been how to provide the right kind of pipes. In Europe we use thinner pipes, and there are no manufactures of this kind of pipes in the US, so we had to import them by working closely together with Danish suppliers such as ABB and Logstor, says Project Manager at Ramboll, Jens Ole Hansen. The project will most importantly provide cost-effective heat to Bridgeport. Another key benefit is a 78% reduction of greenhouse gas emissions, amounting to 13,000 tonnes a year. - The new system in Bridgeport will create jobs in the construction phase while supplying buildings across the city with cleaner energy. It will also help increase energy efficiency, resulting in cost savings for the public sector and a more attractive business sector with better investment options for private companies, he says. Another advantage is that the district heating system is more robust and resistant to super storms, which is a frequent phenomenon in the area. - During Sandy several major power stations were out, while the local European-inspired systems remained in function. Furthermore, it is important to do everything you can to keep down Co2 emissions and thereby try to work against rising sea levels when you live in a coastal area such as Bridgeport, Jens Ole Hansen says. Connecticut developer Nupower Thermal LLC is developing the district heating system in Bridgeport and has hired Ramboll as lead designer. Ramboll provides the overall concept and performance specifications, develops the tender material for the EPC contractor bid and is the owner’s engineer during the construction and commissioning phase. On the production side Ramboll is designing the heat extraction at the waste-to-energy plant, the extraction at the fuel cell plant as well as the peak load gas-fired boilers. Ramboll is also designing the heating network. Finally Ramboll has teamed up with two local sub-consultants - Smith Engineering, NYC and Milone & MacBroom, CT - for the survey and design of the energy transfer stations.